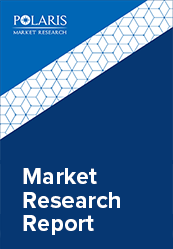 The global cryotherapy market is estimated to grow at a CAGR of 9.33% between 2018 and 2025. Cryotherapy can be termed as a use of low temperature in the medical therapy. It is used for treating various malignant & malignant tissues damage that can be termed as lesions. Cryotherapy is widely used for treating muscle pain, sprains, swelling, soft tissue damage, and postoperative swelling. Cryotherapy is primarily used in surgical treatment specifically cryosurgery and cryoablation. This cryosurgery is the application of extreme cold to destroy abnormal or diseased tissues and ice pack therapy is a treatment to an injured area of the body. Cryotherapy is considered to be one the most effective treatment for cancer. According to the National Cancer Institute, it is estimated 1,735,350 new cases of cancer will be diagnosed in 2018. Additionally, the rising prevalence of cancer to positively influence the entire market growth. The global cryotherapy market is primarily driven by its increasing number of minimally invasive cryosurgery owning to advantages like less pain, fewer scar, and relatively fewer complications. In addition, the rising prevalence of various chronic diseases like cancer, cardio logical disorders would also influence the market growth. Similarly, increased awareness for the use of cryotherapy for treating conditions like arthritis, rheumatoid conditions also supports the growth of this market during the forecast period. The continuous technological advancements for developing new devices that are used in cryotherapy to also spur the cryotherapy market during the forecast period. Furthermore, an increase in the number of installment base of cryosurgical equipment, and cryo-chambers in the developing countries to also drive the market growth. However, the stringent government policies, and relative side effects of cryogenic gases to impede the growth of cryotherapy market during the forecast period. The global cryotherapy market is segmented on the basis of device type, therapy, application and geography. On the basis of the device type, the cryotherapy market is segmented into cryoguns, cryoprobes, gas cylinders, cryo chambers, gas pressure gauges, and thermocouple devices. As these therapies are used in pain management with the help of the gases like carbon dioxide, argon, liquid nitrogen, and dimethyl ether-propane. These gases are used externally with the help of cryoprobes and cryoguns. Cryoguns market dominated the entire segment market which is flowed by cryoprobes. Based on the therapy type, the cryotherapy market is segmented into cryosurgery, icepack therapy, and chamber therapy. Cryosurgery holds the major market share-owning to the increasing number of minimally invasive surgery. Cryosurgery helps in treating the damaged tissues without harming the healthy tissues in the body, and limited side effects and faster recovery would also influence the market during the forecast period. Cryotherapy is used in the treatment of oncology, cardiology, dermatology, pain management, ophthalmology, and gynecology. Oncology dominated the entire application segment, owing to the increasing number of patients suffering from different types of cancer and rising mortality due to cancer. Furthermore, the increasing adoption of cryo-therapies for treating the variety of cancer with relatively fewer side effects to also influence the growth of this market. Additionally, use if cryogenic gases for treating cancerous growth would also drive the market. By geography, the global cryotherapy market is segmented into five major regions, North America, Europe, Asia Pacific, Latin America, and Middle East & Africa. In terms of geography, North America dominates the entire cryotherapy market. The growth in the market is majorly driven by the increasing healthcare expenditure by the local governments and developed healthcare infrastructure in the U.S. and Canada. Furthermore, the availability of well-developed cryotherapy products in this region would also influence the market growth during the forecast period. While, the Asia Pacific is anticipated to make dominating growth in the forecast period owing to increasing awareness for the use of cryotherapy, unmet market needs & untapped market potential, and developing healthcare infrastructure would also support the market growth in the Asia Pacific during the foreseeable future. Additionally, the reduced cost of this treatment, fewer side effects, and increasing the accessibility of treatment in this region would also spur the market during the forecast period. Some of the major key players operating in global cryotherapy market are CryoConcepts LP, Medtronic plc., Brymill Cryogenic Systems, Cortex Technologies, CooperSurgical, Inc., Cortex Technologies, Galil, Medical, Inc., Mectronic Medicale, S.r.l., Wallach Surgical Device, and Zimmer MedizinSystems.